With April well underway most of us are probably preparing for the food coma that naturally happens over the Easter period. Chocolate in all its forms, moorish hot cross buns and other Easter treats have always been the star of this month…until now. FYI, National Cheese Fondue Day is today! And tomorrow the cheesiness continues with National Grilled Cheese Day. 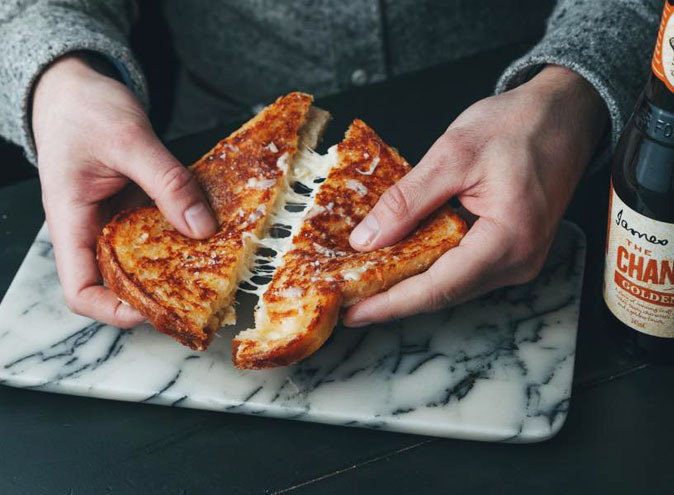 Whether it’s a late night toastie to satisfy your alcohol-induced hunger or a bubbling pot of fondue to share with friends, we don’t think you’ll need an excuse to pay a visit to one (or all) of the un-brie-lievable restaurants we’ve listed below. Wander in to this late night cheese bar and just try not to drool over the 6 metre long glass cabinet where over 180 of the world’s cheeses are on display. A skim read of the menu will show you that passion, elegance and creativity drive the team at Milk The Cow. 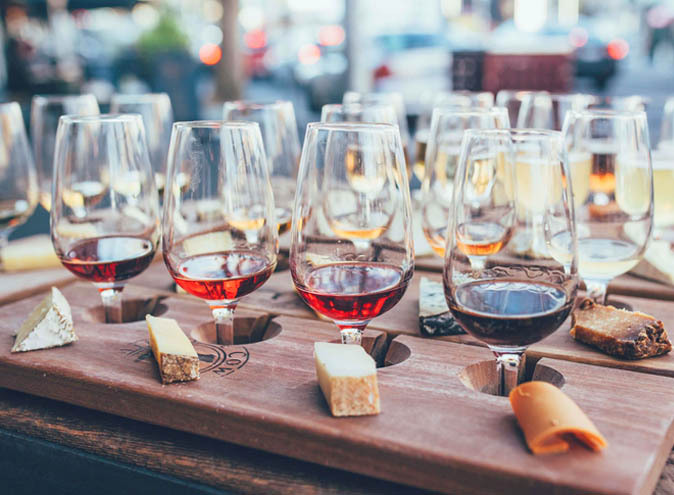 Select your own cheese from the cabinet to curate your own boutique cheeseboard or go all out and order the Crème de la Crop cheeseboard where you’ll get 5 of the best cheeses accompanied by Spanish quince paste, freshly baked bread, muscatels and house made lavosh. If you really feel like indulging, Milk The Cow also offer up 3 variations on the classic Swiss invention of fondue which is sure to tackle those cheese cravings. But don’t feel like the delicious cheese saga has to end at dinner, artisan boozy gelato serves as the perfect sweet finish. 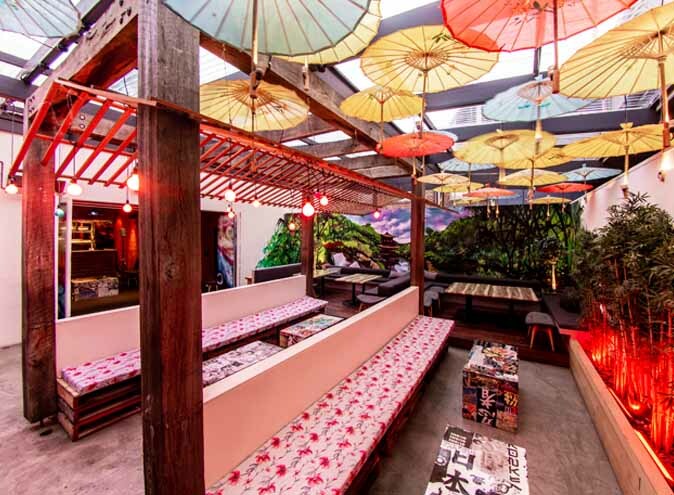 While Milk The Cow’s delicious cheese dishes are the star, the décor certainly makes a statement. Sage-green booths, dark wood interior and shady lighting combine to create an earthy and elegant atmosphere without sacrificing comfort. Reservations are for six or more, all other tables are on a walk-in basis only. If there’s one place to revel in the magic of Grilled Cheese Day its Fitzroy’s Bad Frankie. 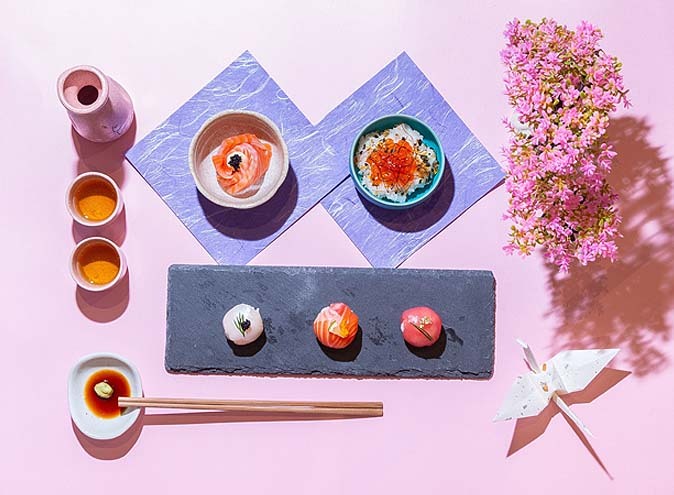 Serving only the best in local beer, wine and spirits, the team behind the ever-changing menu are experimental to say the least. Pizza supreme, cheesy baked beans, vegan butter chicken and even a lamington inspired jaffle are just some of the unique creations to have come out of the Bad Frankie kitchen. Still, nothing beats the classics and their cheese jaffle is the perfect balance of buttery mozzarella and sharp cheddar. There’s a reason these guys won best small bar in 2017 and we reckon these jaffles have a little something to do with it. 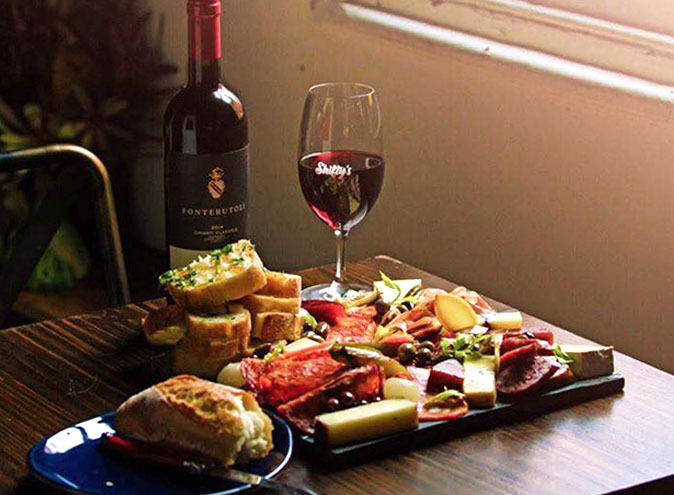 Residing on the famed strip of Fitzroy, Shifty’s are transforming what it means to cheese, wine and dine. Think wild boar chorizo, 14-month aged prosciutto from Northern Italy and extravagant cheese boards with the odd baked camembert for good measure. The walls of this eclectic venue are splashed with a number of local artworks while dark lighting and rustic wooden furnishings combine to create a warm and inviting space. Shifty’s have become recognised as experts in pairing their premium cheese and charcuterie selection with good wine and good times. Still, if it’s not wine you’re after, the team have curated a cocktail menu featuring a number of exotic drinks. Indulge in a white chocolate passionfruit martini or try their signature The Shifty Berry; a beautiful bourbon and berry concoction. Who does fondue better than those who invented it? The Swiss Club Restaurant is here to convince you that the answer to that is no one. These guys boast an amazing cheese fondue –gruyere and Emmenthal cheese melted with a hint of wine and garlic, promising to transport you to a toasty mountain chalet. Or if it’s some other form of cheesy deliciousness you crave, try the Rösti Raclette; pure melted cheese served over a Swiss style hash brown. In terms of the space, the blonde-wood furniture and warm lighting will make you feel like you are being welcomed home. 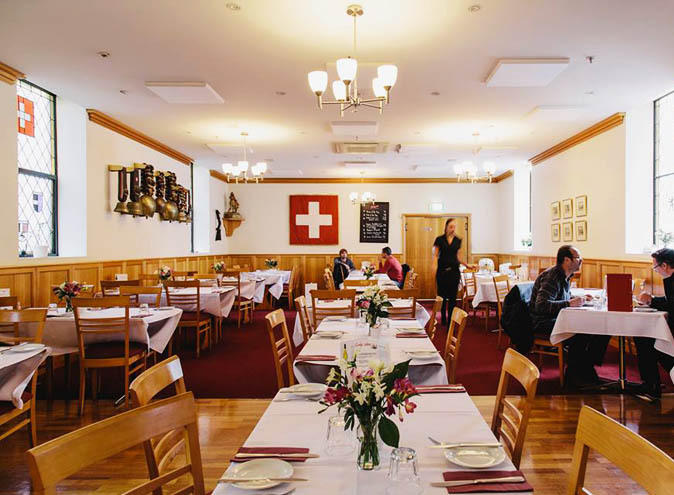 Customary Swiss symbols like cow bells and an alphorn embellish the walls helping the space resemble a traditional Swiss ‘Gaststube’ as the owners intend it to. 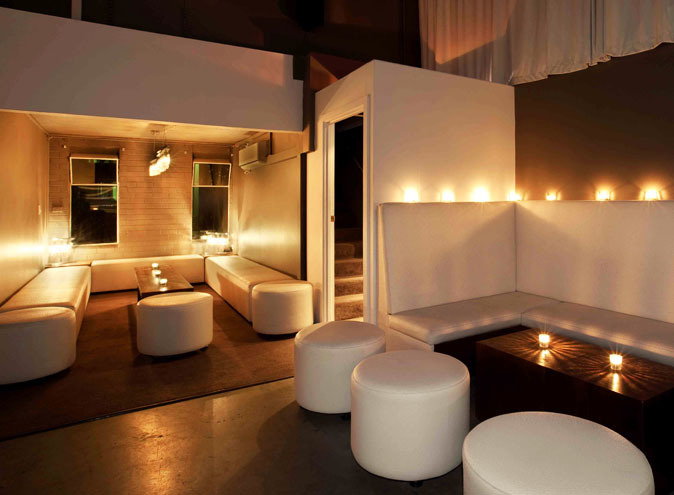 There are both casual and formal dining options, both sure to enthral you in their authentic Swiss charm. The team at Toasta have one simple goal. 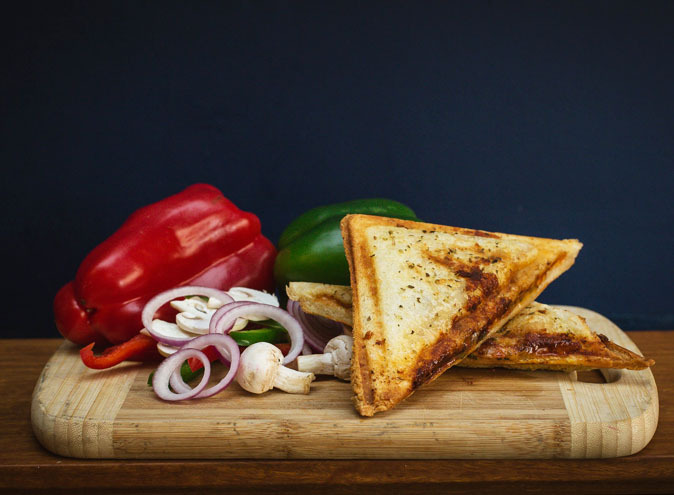 To provide nostalgic eating experiences by means of the humble toasted sandwich. Starting out as a food truck, the Toasta team have found a place to call home in an old-school corner store located in West Melbourne. Toasta encourages you to leave all your adult-life worries at the door and indulge in a treat yourself moment. Before you’re mind-blown by the next-level toasties, take advantage of the fact that these guys are licensed and sip on a cheeky afternoon (or morning) beverage. While the cafe menu has been extended to include burgers, breakfast options and a variety of sides, the stars of the show are of course the ‘toastas’. Keep it simple with the ‘Jane’ which features their signature 3 cheese blend or step it up a notch with the ‘Mack Daddy’, an unrivalled combination of mac ‘n’ cheese, caramelised onion, BBQ Sauce and pulled pork. Another added bonus of Toasta is that its vegan inclusive, with not one but five tantalising options. Operating out of an adorable antique French food cart at Prahran Market’s great food hall, Maker & Monger promise to ignite your senses with their delicious cheesy creations. 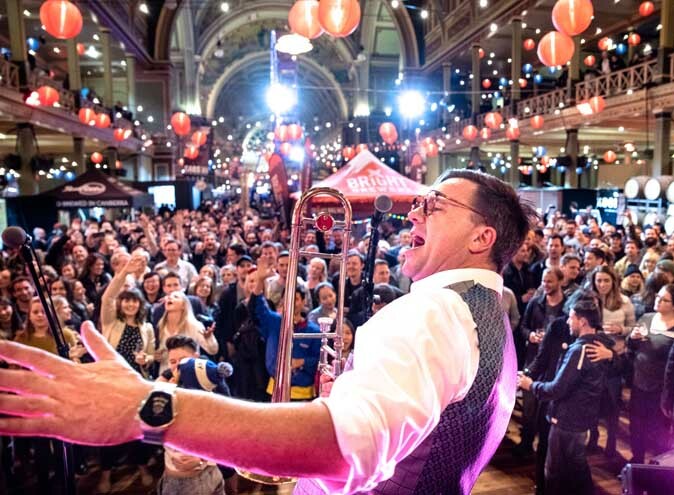 World renowned affineur and cheesemonger Anthony Femia is at the heart of this artisan cheese stall and promises to ignite your senses with his delicious cheesy creations. The menu is simple yet refined, using only the best quality farmhouse and artisan cheeses from Australia and abroad to deliver extraordinary food. 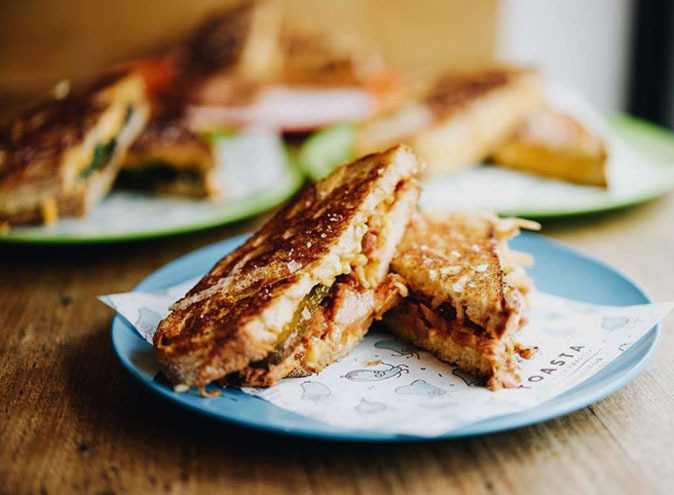 While Maker & Monger specialise in a number of cheese dishes, their grilled cheese sandwiches have had people talking since day one. The fondue special is the favourite, a next-level cheese toastie with ham off the bone. Otherwise, their mac n cheese is a melting pot of swiss gruyere, buttered leeks, chipotle, roasted capsicum and dry aged chorizo which is sure to satisfy.